Voice over internet protocol or VoIP offers businesses manifold benefits including cost reduction, increased communication seamlessness, efficiency and a rich set of multimedia features not provided by traditional telephony. 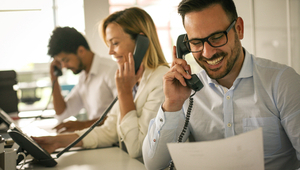 Within a few days of transition, from the almost-obsolete PBX system to a VoIP solution, a company can feel the difference, especially if you chose from one of the best VoIP phone service providers. Regardless of the size, nature or category of your business, you can find a VoIP solution that caters to your needs in the best way possible. Some of the features offered by VoIP can also be used to train employees and to ensure quality control within the customer service department. In the following article, we will take a look at some of these features. Sometimes a whisper can go a long way in getting a person out of a tough situation. We are all guilty of whispering the correct answer in our friends’ ears while they were being interrogated by the professor; VoIP whisper works in the exact same manner. For example, suppose you are listening (and monitoring) a call in which an agent is helping a customer. During the call, the client asks something from the agent that they are unable to answer or they have given the client the wrong answer which can eventually cost your company a client. If you are in such a situation, you would want to have a means to correct the agent or tell them the answer without being heard by the customer, right? Well, VoIP whispering lets you do just that; you can tell exactly what you want to your agent without letting the customer know that a client-saving assist was just made. This amazing feature that almost all good VoIP telephone systems come equipped with, allows you to coach new agents and always have an inconspicuous means to feed information during important calls. Another important use-case of VoIP whisper is when an agent needs to get supervisory approval before quoting a price or accepting/rejecting an offer. VoIP barge, on the other hand, lets you do exactly what the name indicates; it lets you barge in to a conversation between two internal extensions or even between an internal extension and an external caller. The barge feature isn’t normally going to be available to you if you choose the cheapest VoIP phone service available but it’s something worth immense value, which comes with the top VoIP providers such as RingCentral and 8×8 Inc. With barge, a manager or an administrator can take control of the call if they think that the deal is moving out of the company’s hands or if they can offer more concrete insight or if they think that they can answer the customer’s query more efficiently. It’s worth mentioning here that barge is not three-way calling or conference calling; the customer will not know that you are on call unless you make yourself heard. Barge is a highly beneficial feature during sales calls as it makes customers feel like they are important. 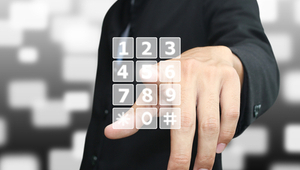 Another extensively beneficial feature of a VoIP system is call recording. Top VoIP systems like Grasshopper come with preloaded call recording features which allow you to record your calls and maintain a vivid history for any future uses. Not only can these recorded calls be referred to in the future to solve any customer disputes, they can also be shared with newly hired agents who need to know how you expect them to deal with potential customers. Calls made by the best performing employees can be shared with all of the workforce so that everyone knows exactly how to satisfy a customer. Call recording is also often used while assessing the performance of an employee. Some VoIP service providers only give a specific amount of storage space for call recording while more caring companies like Vonage charge you flat monthly fees for call recording so it’s of paramount importance that you do your research before making the investment. Arguably the most important feature that comes with the top business VoIP features is ‘Call Analytics’. Call recording can help, but it’s the call analytics feature where the actual magic happens. Just as the name indicates, call analytics allows you to see exactly how well your employees are dealing with your customers and what steps can be taken to improve their performances. With a modern call analytics application, you can see the times at which certain calls were made, track your leads and identify any possible flaws in the sales calls. By analyzing numbers, you can answer questions like, “Are my employees taking too long to answer a certain query?” “Is a certain employee unable to satisfy the needs of a customer on time?” and “How many times did a manager barge in on a call attended by a certain agent?” All of these can allow you to increase the levels of customer satisfaction. Additionally, by taking remedial steps, you can address any present issues in real-time and enhance the chances of converting potential customers into actual buyers. Call analytics features are also only a part of the most state-of-the-art VoIP solutions offered by a select few companies. VoIP has a huge set of features that can help a business save on operational costs and increase the efficiency and efficacy of its communication. In this article, we looked at some of the amazing features of a business VoIP solution that can help a company in training its staff and maintain quality control of a customer support team. Barge, whispering, call analytics and call recording can go a long way in ensuring that employees deal with customers in the best way possible. In addition to the aforementioned call handling features, VoIP can help your business in upholding the standards of stability, effectiveness and productivity.